During my teens, I was eagerly searching for a place where I could share my interest in social issues with other youth and which I could use as a platform for changing the things I felt was wrong and unfair in society. I struggled to find something simliar in my surroundings, but little by little I found – and founded – some groups which served as forums for discussions and small experimental hubs of social change. These contexts where crucial for my development in these important formative years of 15, 16, 17 and made me into who I am today. Now I am 24 and have a degree in Political Science, Economics and Gender Studies. I have also studied in France and Turkey, worked in the Swedish government and in a school with refugee youth. I am very happy to be a part of Novi Ritm this autumn, since Novi Ritm offers this space for youth which I badly wanted for myself in that age. 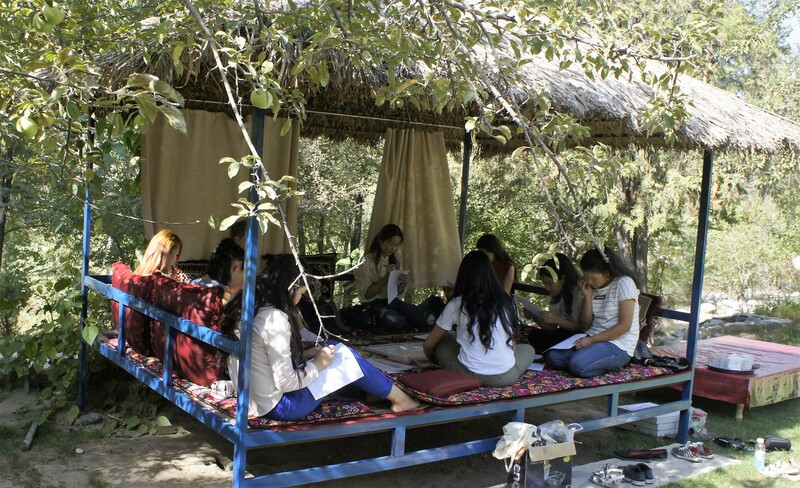 Novi Ritm offers a physical space in the form of a house where youth from different backgrounds can meet within the framework of the different thematic working groups (Girls’ Group, Environment Group, Conflict Management Group, Movie Club, Young Debaters Club, Comic Group and Health Group) for exchange and development of knowledge and opinions. It is my firm belief that this opportunity to come together over social issues important for young people and their local community is improving the quality of democratization in Kyrgyzstan. Young people learn how to detect, formulate and address problems connected to equality, discrimination, conflict and the environment and they are entrusted with responsibilities and functions to run their own projects and organsation. This increases their thematic knowledge about pressing issues for the young Kyrgyz democracy and prepare them for being important and competent actors of change within this context. In my two following blogposts, I will more deeply discuss the demcratization process of Kyrgyzstan. In the first post, I will describe different theoretical perspectives on what democratization is and what causes it, as well as where Centralasiegrupperna finds itself in this theoretical analysis. This is important since it entails what interventions that are seen as necessary for the Kyrgyz society, for example why Centralasiengrupperna has chosen Novi Ritm as the main local partner. Naturally, the second blog post will elaborate on in what way Novi Ritm can be said to positively contribute to democratization in Kyrgyzstan.